I’ve always been told, “Order the House Wines in Italy, they are inexpensive and always good.” Ummm…No! 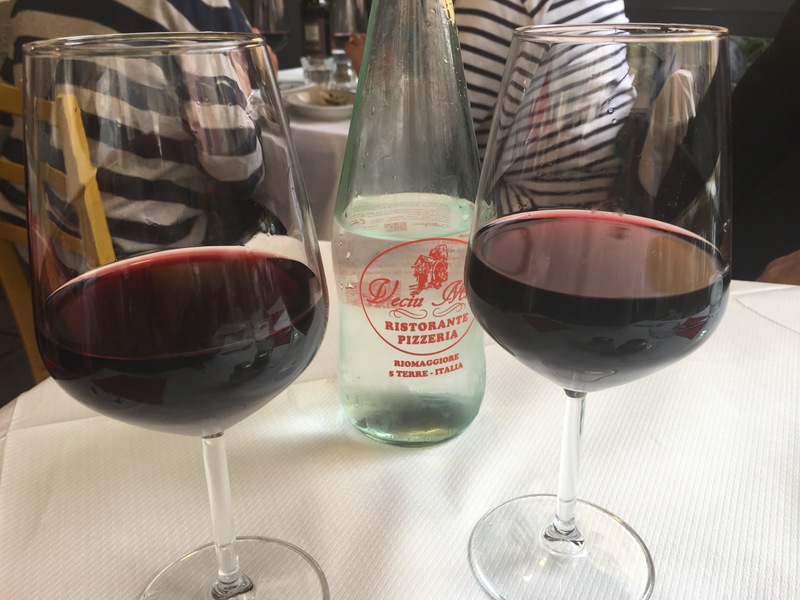 For the first time this trip﻿, we went for the house red wine–no front, no back, no middle. The bottled water, from tap I’m sure, may actually have more flavor. Then the food came. Spaghetti al Tonno (Tuna) with capers, tomatoes on olive oil. Suddenly the wine took on a whole new attitude!!! I actually ordered a second glass. My 3.5 Euro per glass Vino Della Casa was suddenly a good deal after all. What was the house wine?? Something local made by the owner’s sister’s second cousin…or something like that. Glad I ventured in for a glass. Notice the olive oil!! Extra virgin SPRAY olive oil. A little too much like Pam spray for me. 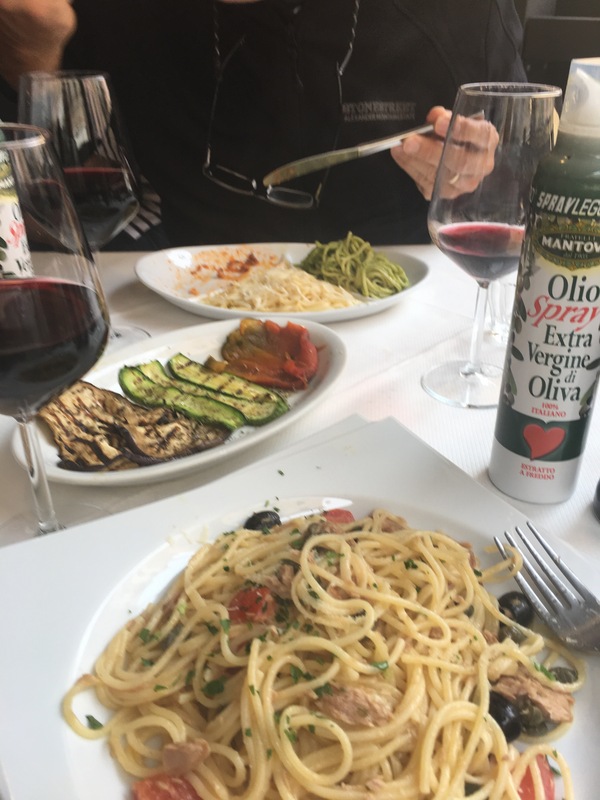 The balsamic spray–now that’s perfect.